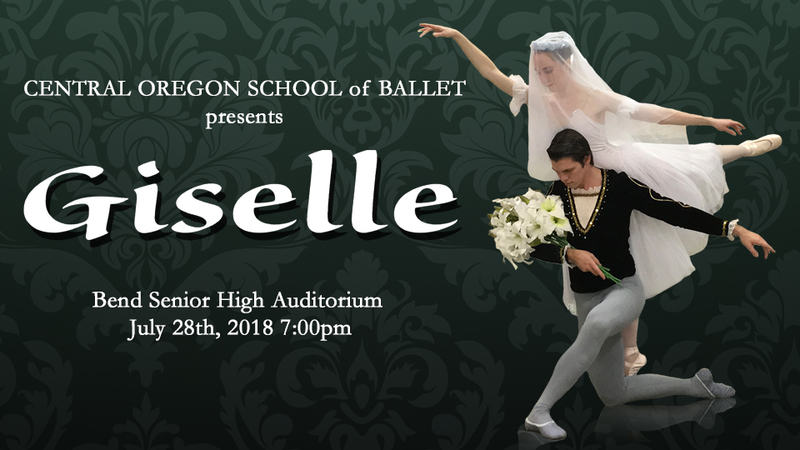 Giselle is a story of blossoming romance, royal scandal, betrayal, undeserved grace and the power of love conquering death! Come enjoy the quintessential ballet of the Romantic Era! A drama in 2 Acts with music by Adolfe Adam danced by students and professionals from Bend, OR. E-mail centraloregonschoolofballet@gmail.com for more information.